Winterball registration is now open! Updated Wednesday October 10, 2018 by SMSA Executive. Registration is now open for Winter Pitching Sessions! SMSA will be holding all pitching sessions on Monday nights this 2018/2019 off-season. More winterball sessions will be announced in the upcoming months. West Wind Public School : These sessions are intended for boys and girls that have never pitched or have pitched only a few years. If you have any questions on which session to sign your child up for, please don't hesitate to email melanie@stittsvillesoftball.org. All pitchers must have a catcher/parent for each session. For squirt and peewee age: If your catcher is a player, please email melanie@stittsvillesoftball.org with the name of your catcher. Sessions will run from November 5th-April 22nd. There are a few black-out dates due to holidays and school closure. Cost is $75 per player. 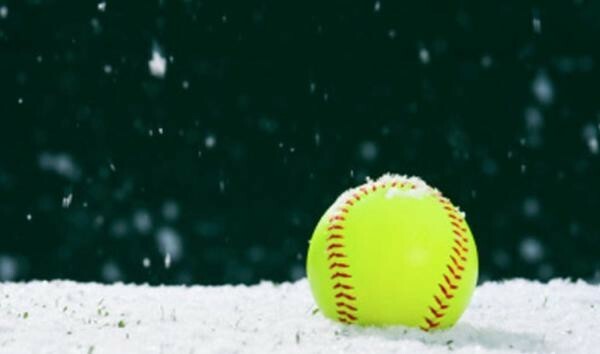 Sacred Heart High School: These sessions are intended for boys and girls that have pitching experience and have either completed Beginner Pitching sessions or have already registered for the Intermediate Advanced session in a previous winter. If you have any questions on which session to sign your child up for, please don't hesitate to email melanie@stittsvillesoftball.org. All pitchers must have a catcher/parent for each session. If your catcher is a player, please email melanie@stittsvillesoftball.org with the name of your catcher. Sessions will run from November 5th-April 22nd. There are a few black-out dates due to holidays and school closures. Cost is $75 per player. ***Please Note that this session will be drop in until December. At that point, Coach Katie Wolf will be the pitching instructor for the Intermediate/Advanced pitching sessions. An SMSA coach will be there during drop-in with equipment and to facilitate warm-up and general pitching drills. T-BALL, MINOR & MAJOR 5-PITCH, and TYKE level focuses mainly on skill development and teamwork, while promoting a fun filled environment. Teams are kept very small in order to leverage hands-on game experience and to facilitate individual coaching. Parental involvement is highly encouraged. All teams are co-ed. All games / practices are held in Stittsville and will occur on a fixed week night and some Saturdays. The chart below indicates which division your child is in. Mite to Midget - House League focuses on furthering skill development and game play. New players are welcome. Teams play mostly Stittsville area teams. Games are played on a rotating schedule. In order to keep teams balanced and competitive the SMSA may not be able to accommodate requests to place players on the same team as friends. The chart below indicates which level your child is in. 1999/2000/2001/2002	Midget: U19, with over-age allowed. SMSA will do there best to keep the same schedule as last year. The following list is the practice and game night list for the 2019 season. This is registration for the 2019 Umpire Clinic. The clinic will be held at Johnny Leroux Arena (upstairs in the Community room) on April 14th from 8:30 am - 1:30 pm for Junior Umpires and 8:30 am - 3:30 pm. Details will be emailed out closer to the clinic date. Please register according to your association and type of umpire certification. Please Note, this registration is for those player who have already made the team only.